VISITING THE US can be a culture shock for us Irish people – especially the rules about tipping. Taxi drivers, hotel porters, bartenders – they’re all expecting a dollar or five from you, and it’s incredibly rude not to give it. So what about over here? Ireland does not have a ‘tipping culture’ per se, but there is a general consensus that in some places, you should be putting your hand in your pocket. How should I tip in a restaurant? The commonly agreed rate is to tip 10%-15% of your bill based on what you thought of the service – though with a smaller bill most people may just round it up to the nearest amount in notes. Do bartenders secretly despise me for not tipping them? Nah, you’re not expected to tip bartenders. 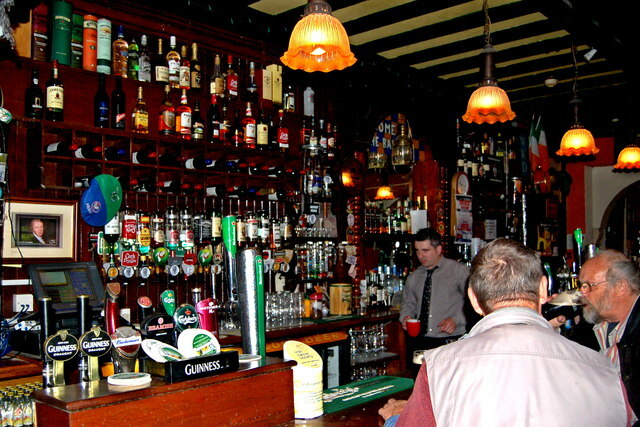 BUT Trip Advisor tells people travelling to Ireland that floor staff expect €1-€2 for serving a large round. Something to think about next time you get table service in a pub. What’s the story with tip jars in cafés? Are they obligatory? No. It’s entirely up to you. But why wouldn’t you want to stick a few coins in those tip jars from Dublin café Brother Hubbard? Should I be tipping my hairdresser? For women, getting the gruaig done is pricey enough as it is, but some feel that tipping at least €5 the polite thing to do. Tipping manicurists and beauty therapists can be awkward, but handing over €2 is considered good manners. Opinion on this is still divided, however, so we ask – do you tip your hairdresser? Email “So, who exactly should you be tipping in Ireland?”. Feedback on “So, who exactly should you be tipping in Ireland?”.